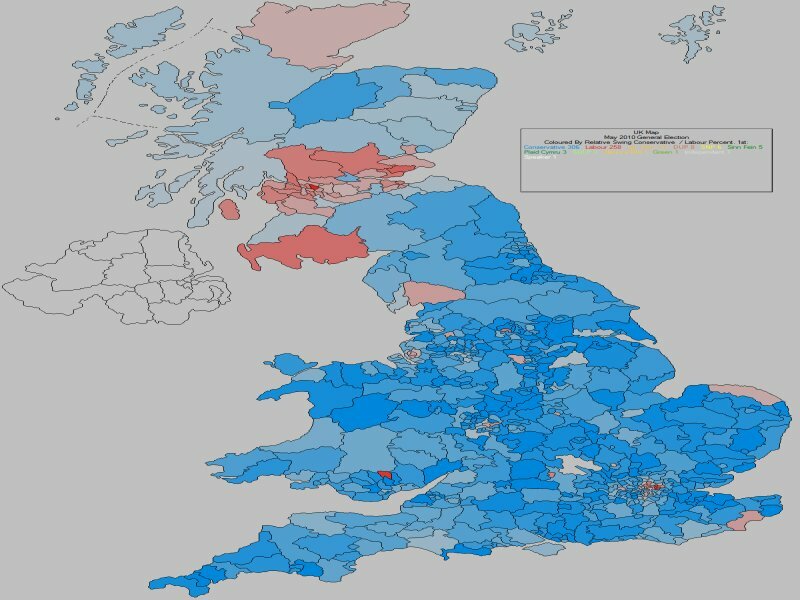 General Election Result (Conservative Vs Labour Swing): June 8th 2017. 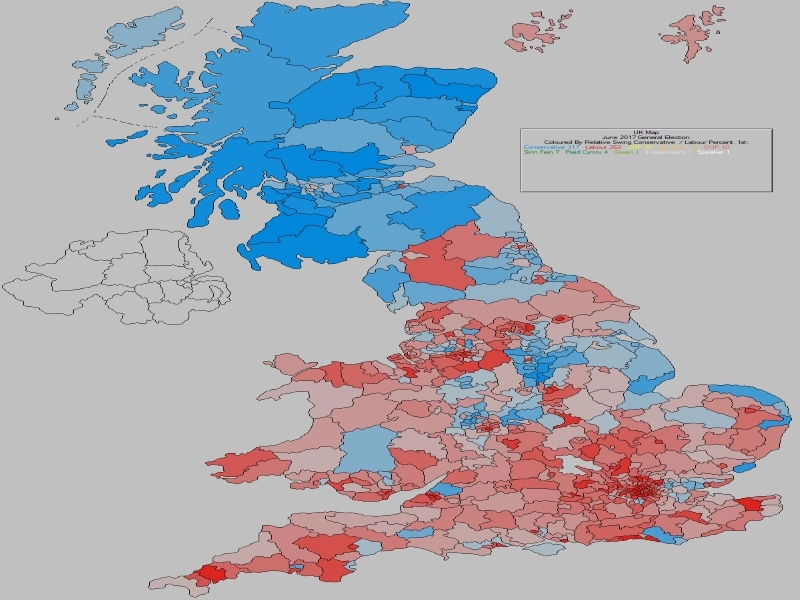 Shows Conservative Vs Labour Swing percentages. Note the changes between the 2017 swing percentages (top) and those in 2010 (bottom).